If you’re looking to host a party of your own this Halloween but you want something different then we have the perfect idea for you. It’s normally very conventional to have a costume party, but what if you had a Masquerade instead? These are normally very fun because there’s a certain excitement that comes with wearing a mask and remaining anonymous. Keep reading to see what you’ll need to have a fun mask party of your own. While some individuals will want to buy their own mask to bring to your party, it would be a fun idea to have crafts and kits to make other people’s masks. This way they can customize their own mask to their preference and how they exactly want it to look. Another idea is to buy a large supply of masks and place them on a table for everyone to have access to so they don’t have to worry about making their own. If you decide to have your own masquerade party with children then it’d be extra fun to have them make their own masks. They can make theirs and have them as a keepsake to take home along with all the memories from the night. 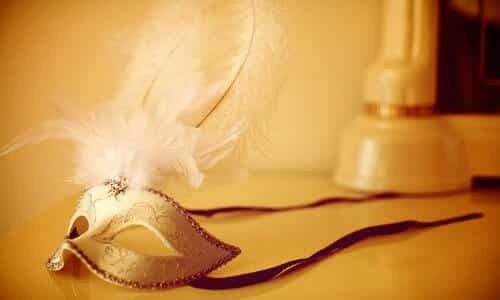 To make your own mask it’s important to still have the style the normal Venetian masks are famous for. You can take pieces of lace and glue it along the edges of the mask to make it look more delicate as well. Something that will be fun to do to add a bit of flair to your mask is to place feathers along the middle top part of your mask. This makes it appear larger and gives even more anonymity to you. That about does it for our tips on your own Masquerade ball, let us know if you decide to have one of your own and tell us about it in the comments below!